Sometimes we do enough damage to a natural landscape that it is unlikely that nature will be able to return it to its previous state in our lifetimes, if ever. It is when we do this sort of damage that it is time to do what we can to repair the damage we've created. 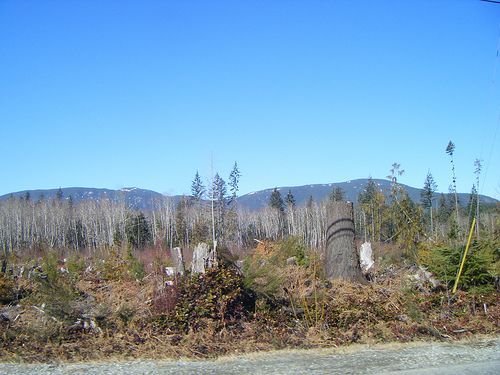 The most common applications of the sometimes extreme measures talked about in this section are when we've dumped toxic waste that can not be cleaned up readily into a landscape, when we've over harvested a resource, destroying the natural space, or when we've intentionally or accidentally made a space inhospitable to a key species. The first area of this section is about detoxifying a natural environment. This is about how to try to return destroyed spaces back into something that is hospitable to life. There are times when we alter natural conditions in a way that kills off a large amount of the flora and fauna. Typically this involves polluting water and/or soil beyond a point that natural processes are going to take care of it in a reasonable amount of time. Examples of this are oil spills and leaks and industrial wastes containing too many heavy metals or other harmful materials. 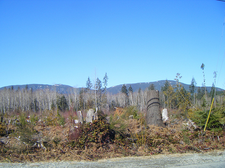 Another part of repairing damage involves working with areas that are suitable to life, but that have no plant life or habitat appropriate for the area. This includes both recreating habitats for animal species and also replanting important plants that have been destroyed. This could involve replanting a clear cut forest or establishing artificial reefs, for example. The last part of repairing nature involves reintroducing animal species. There are many areas where human activities have made it so that animal species that were once common to an area were no longer able to survive there. Once a place is hospitable to life, and there is a proper habitat for the animal again, reintroducing that animal to the area it had been is an option. Sometimes this means giving the animal back a larger part of its natural range and sometimes it means simply getting the animal back in the wild again if its entire habitat had been destroyed. Finally, once a natural space has been rehabilitated, it is important to protect the space to make sure that we don't cause significant damage to it again. Of course, it is always better to not be doing the damage to spaces in the first place, which we can do by protecting Natural Spaces, Plants, and Animals. Many attempts to repair the damage done to a natural space are quite controversial and there is likely to be some debate about when it is appropriate and to what extent. We are simply discussing the options that are available and will leave value decisions about specific cases to the pros.